Beautiful two storey townhouse, with private parking located in a popular urbanisation just 2.9 km from the beach with spectacular views over Calpe. The main living area is on top floor with internal and external stairs down to the bedrooms and sun terrace. On entering the property you will be greeted with breath taking views of the Penyal d’Ifac the landmark of Calpe. The kitchen is independent and well equipped, there is a cloakroom on this floor along with a large open plan lounge dinning room with air conditioning, pellet stove, WiFi and free view TV. From here you have direct access onto a spacious terrace with amble seating for dining alfresco with the gas heater and gas BBQ. The ground floor has a master bedroom with air conditioning and a large en suite bathroom boasting a corner Jacuzzi bath and separate power shower and double vanity unit. The laundry room is hidden away in the adjacent room. There are two additional twin bedrooms one with free standing fan and the other with air conditioning one shower room is also on this floor. The lower terrace has a fabulous 6 seater Jacuzzi, large corner sofa and 4 loungers allowing you to top up your tan whilst enjoying the spectacular views. 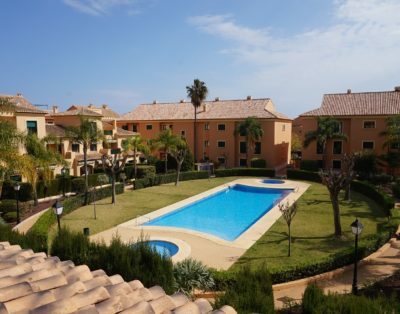 There is a communal pool and large terrace just a 100 meters from the property. The property is available for winter rentals and the utility bills are in addition to the advertised price.